Kenny Foster is another name to add to the list of talented Nashville-based songwriters who are heading over to the UK to tour. 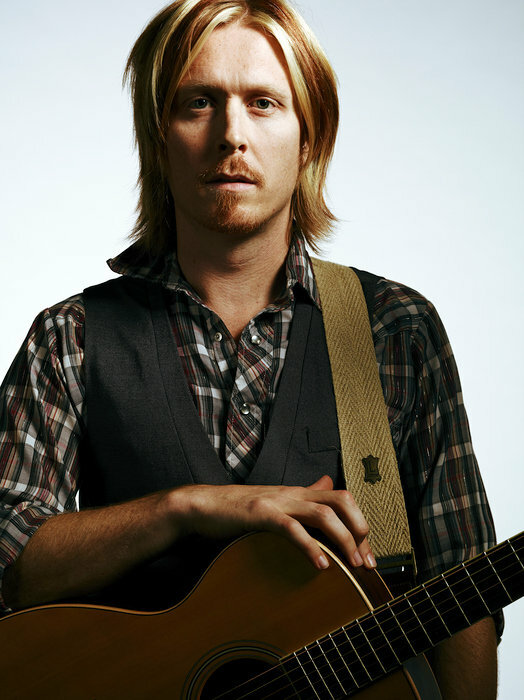 Following on from a slot playing (music) for his beloved Spurs in Music City he headed over the pond for a short tour. We were lucky enough to catch up with him on the road. Kenny, thank you for taking the time to chat to us today. How are you enjoying your time in the UK so far? How many shows did you play? Do you have many expectations from the crowds over here in Europe compared to back home? I’ve heard y’all really love music, that you listen intently over here, and that’s proven to be true thus far. I noticed that you played a couple of shows recently firstly for the Tottenham Hotspur team then a fan club. How did those come about? It’s not every day that the club you follow comes to the town you live in over 4,000 miles away. I figured there weren’t a lot of candidates in the country music genre in Nashville that knew a lot about the Premier League, let alone was a die hard fan for one of the clubs. So in an attempt to sing the national anthem before the match, we were in contact with Spurs and they had my information/music/resume. They reached out about a week before they arrived in town and asked if I’d be willing to play the team dinner. I was immediately excited, and dreadfully nervous. But it went better than I could have imagined, which lead to the fan club performance the following night. Just magical, really. All of it. Are you a fan of soccer and the club? That may be a bit of an understatement [laughs]. I played footy from 6 years old all the way through to University. My girlfriend (now wife) and I went to Germany for the ’06 World Cup and planned our honeymoon around the ’10 World Cup in South Africa. Been following Spurs now for some time, and besides watching every week (I’m in town) with Nashville Spurs (The local supporter’s club) we also made it to The Lane two years ago for a handful of matches, and got to see them at Wembley just last week. It might be a borderline obsession with the game, and a firm-yet-controlled fanaticism with Spurs. It must have been a surreal thing playing a show in such a setting? Let’s go back to your story a little. Who have been the biggest influences on you both musically and in your career? James Taylor’s mastery of storytelling with an acoustic guitar was what captured me at a very young age. Garth Brooks came along and changed the game for how gigantic and yet intimate a man filled with passion and great songs could be. The visceral reaction I got from listening to artists like Dashboard Confessional, Counting Crows, and Third Eye blind were something I wanted to channel into a form that was very much my own. John Mayer is clever as can possibly be, and plays a guitar like a man possessed. After moving to Nashville, it was all over for me. the tradition, and the history, and the craft. The city itself and its legacy had a profound impact on what my music ultimately became. It was a trial by fire, but I certainly feel I came out on the other side stronger. You’re from Joplin, Missouri so what inspired you to take that chance and move to Nashville? My family was a huge support for me. I recognized the unique position I was in in this way. My dad always said their goal was to give his kids roots and wings. Roots to know where we came from and always have a place to return, and the wings to know we were free to fly and chase whatever may come. It was a spurring on more than a running away from anything. I care very deeply about where I came from, and carry it with me into every new situation in my life. How big a struggle was it arriving there with all of these dreams and trying to make them happen? Impossible. You think you know how it works. But you have no idea. And then even when you know exactly how it works, you’re not sure why it works that way. It was an emotional and spiritual journey to figure out why I had been lead to chase something so completely and at the expense of so many other lives. But the course needs be stayed if you’re ever gonna find the end of it. From reading your brutally honest account on your website it seems like it’s been a long time coming. Were there ever times where you felt like giving up on the music? All the time. Were it not for the unending support of my wife, and this insatiable desire to want to do good by everyone that had believed in me from the beginning, I’d have hung it up long ago. Multiple times. Lord knows what I’d be doing. I shudder to think. Can you think of any major turning points that have led you to this point now? There’s too many to count. But this record, and the intention with which we made the decisions around its release, were so other-minded than anything I’d done up to now. I’d stopped chasing, and I just started existing. That was a profound difference in approach for me. Everything that’s happened since is, I think, a direct result of that decision. Made possible by a select few people who saw what I felt, and believed what I thought to be true. Every soul that’s helped prop mine up, or encouraged me along, or hell, outright ignored me, built this thing which is tried and tested. Wholly and truly me. Your first full length LP ‘Deep Cuts’ is out now. How have you found the reception to the record? Remarkable. Rolling Stone gave the nod that allowed people the freedom (or maybe just the curiosity) to approach the record and take it all in. Art needs a frame. And these listeners are not shy in letting me know exactly what it means to them. It pleases me more than I really have the capacity for sharing. It’s been a beautiful full-circle release for me. Life-affirming is a word I’d use. For those who don’t know your music yet how would you describe your brand of country music? Gut-checkingly real. Honest. A bit traditional in its use of acoustic instruments by real players with an emphasis on lyric and vocal, but still progressive in its structure and its messaging. Pushing the boundary of what we know to be true now based on what has always been true. Obviously you’re building a loyal fan base from playing shows and touring. How important have the fans been in realising this dream? Anyone who doesn’t realize who butters your bread as an artist won’t be around very long. But I don’t see it as a musician/fan relationship. I just feel like, by putting myself into the world and putting a flag into the ground, it provides an opportunity of like-minded people to rally around something. We’re in that together. So people that enjoy my music and accept it in the way I intend them to become friends, really. My kind of people. And in the end, I think everyone just wants to find their people. I feel very honored to do what I do, and won’t soon forget it. It must have been one Hell of a feeling finally getting that album out there after so many years of pushing? It was. A great release. An edifying experience. Everything that’s happened in light of the release has been gravy. Do you have a particular favourite track? Oh come on, that’s like picking a favorite kid. [laughs] Honestly, it depends on my mood. But I’d say there’s a song for damn near every mood I find myself in. Tell us a bit about the album cover – it’s quite a striking image! Where did the idea behind it come from? I penned a song probably 8 years ago called ‘Bravery’ that had a lyric “Nothin’ about me says I think I’m good enough. I know I’ve got a heart with a leak, I try to fill it up.” and since then I’ve always wanted to capture that image or sensation in a really dramatic way. I’d had the idea for this cover for longer than I knew how to hold on to something. Could never really shake it. so when I got the opportunity to get together with Rorshak to make the image come to life, I was just so very pleased. It did the thing I always wanted, and that was to illicit a response. A response that’s maybe intriguing enough that people will check to see what it’s all about. You played a whole host of different shows, one of which was an ‘Under the Apple Tree’ session for Bob Harris who has been key in bringing country music to the UK. How exciting was that? Dude. Honored. Humbled. All of it. It’s a massive thing to have been chosen for on only my first time through, and what he and his team have built up in Harrogate is really special. The trust Bob has developed with his listeners over the years is based on the intent with which he listens to and frames music. It has been hard-earned and long-lived. To play a small part in that legacy is a feeling unmatched. How aware are you of the country music scene that is building in the UK? This tour has given me a VERY good idea about it. [laughs] It’s a different kind of listener here. At first you aren’t sure if they’re enjoying it because everyone is quietly taking it in so intently. You don’t find out until the applause comes, and that makes for a special kind of evening. When the audience is leaning into it, it allows for nuance in the vocal treatment, and dynamics in the playing. It’s been a lot of fun to share these shows with everyone. It’s a conversation, not a performance. Do you plan to make the UK and Europe a regular part of the touring schedule? Absolutely. As long as you all will have me, I’ll keep coming back. What can we expect from Kenny Foster in the future? A lot more of the same. 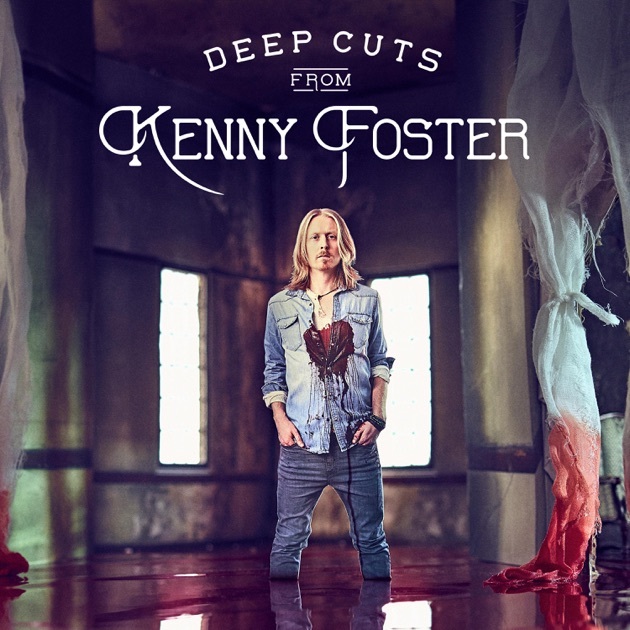 Kenny’s latest record ‘Deep Cuts’ is available here.